A few months ago you would be forgiven for thinking that the UK was heading for another housing bubble as house prices soared and a growing number of people were unable to afford properties, especially in London and the South East. After years of issues caused by the recession the market had finally started to pick up – so much so that many thought the growth was unstable and would ultimately leave the UK housing market back where it started. However, the FCA and the Bank of England have implemented a number of new lending regulations over the past few months in order to curb the amount of mortgage approvals. They claim that their efforts will not only help settle the housing market but also make sure that lenders are not offering mortgages to those that are at risk of defaulting once interest rates start to rise. Both these institutions will therefore be very pleased to hear that recent figures have shown that the UK market has started to cool and house prices are slowly decreasing. According to a report published by the building society Nationwide house inflation fell to 9 per cent in October, down from 9.4 per cent in September. Even though this means that house prices are still on the rise the speed at which they are rising is starting to fall, meaning that in the future properties could become more affordable. 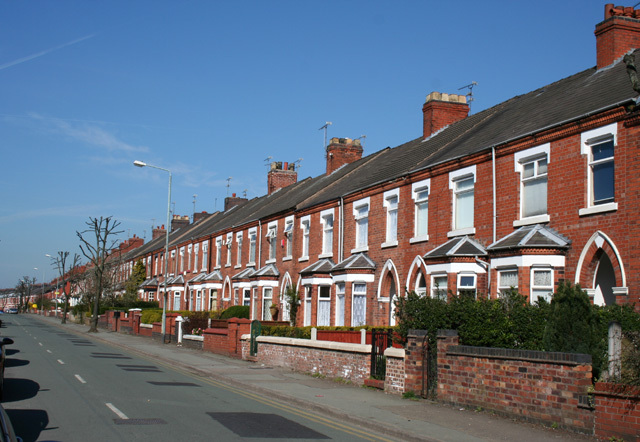 The report also noted that in October house prices only increased by 0.5 per cent month-on-month, making the average housing price now £189,333. Even though things are starting to look positive in the UK housing market there are still those that are concerned over what will happen once the Bank of England increases their interest rates. During the recession the Bank decreased their interest rates to an all-time low in order to protect both the housing market and the economy, however it is expected for them to increase by 3 per cent over the next few years. Howard Archer, chief UK and European economist at IHS Global Insight, said: “The Nationwide data for October are consistent with our view that house prices will keep on rising but at a more restrained rate. “(But) there is the possibility that the markedly increased likelihood that the Bank of England will not lift interest rates before mid-2015 will provide a near-term lift to housing market activity and, possibly, prices as well.” However, even though house prices are starting to fall across the country in general house prices in London and the South East are still at an all-time high. This is one of the reasons why we have recently seen a number of social housing tenants having to leave the capital and move to cheaper areas. As the UK housing market continues to change it is likely that we will see even more homeowners and social housing tenants migrating to different areas in the near future. Hopefully, with house prices set to become more affordable over the next few years the impact shouldn’t be too great, but for now it’s still a difficult time for both homeowners and local authorities.